Guest: Open Lines with Dr. David Livingston; Topics: Back of the Envelope, lunar development, 3D printing, Musk & Mars, Dr. Robert Zubrin & more. Please direct all comments and questions regarding specific Space Show programs & guest(s) to the Space Show blog which is part of archived program on our website, www.thespaceshow.com. Comments and questions should be relevant to the specific Space Show program. Written Transcripts of Space Show programs are a violation of our copyright and are not permitted without prior written consent, even if for your own use. We do not permit the commercial use of Space Show programs or any part thereof, nor do we permit editing, YouTube clips, or clips placed on other private channels & websites. Space Show programs can be quoted, but the quote must be cited or referenced using the proper citation format. Contact The Space Show for further information. In addition, please remember that your Amazon purchases can help support The Space Show/OGLF. See www.onegiantleapfoundation.org/amazon.htm. Welcome to our Open Lines Discussion for Sunday, Oct. 30, 2016. During the first segment of our 1 hour 51 minute program, we took our first call from John in Fremont who wanted to talk about our recent Back of the Envelope program with Barry Levin as our guest. John was talking about 3D printing and self-repairing machine for lunar development. John referenced 3D printing for reducing the costs of lunar manufacturing. John was making a good case for this but I then asked him the time line and method for implementing his policy or concept. Since I ask this of most callers and guests proposing a project or concept for space development, I was expecting the typical reply which consists of dead air since implementation of what is being talked about is the challenge. I was not disappointed with John's response either. I firmly believe that it is one thing to talk about, even propose a project, concept, or policy that most all of us can get behind and support. It is quite another thing to figure out how make the project actually happen. This continues to be, in my opinion, the Achilles Heel of lots of space advocacy. After John's call, Barry called in to discuss his Back of the Envelope concept and his push toward the 4th industrial revolution. Barry had much to say about 3D printing and his plans for his next Back of the Envelope Space Show program planned for Sunday, Dec. 5. 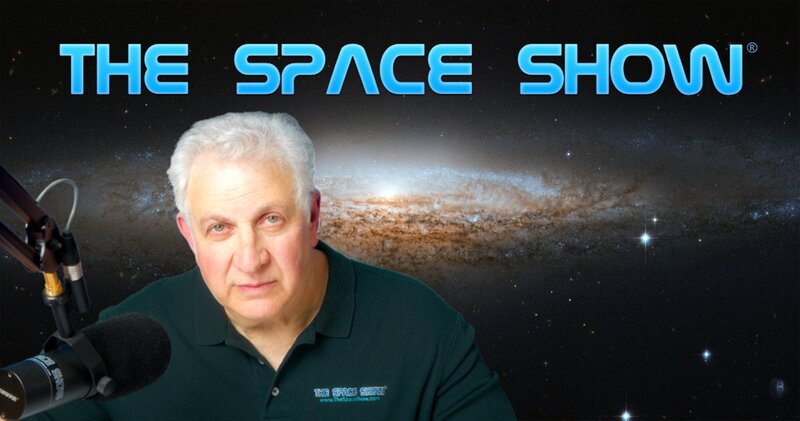 He is looking for ideas and suggestions for what he is planning for that show so if you want to contribute, post your comments/suggestions on TSS blog or email them to Barry through me at drspace@thespaceshow.com. Barry also talked about the financial component of what he has been talking about and as an example, he discussed the use of hydroponics which is already being accepted by industry including restaurants. He further clarified his position and ideas by saying that the goal was not to get people to agree with him to open up discussions on these topics. He talked about the changing ways for information distribution which is absolutely disruptive to old ways of information distribution, usually fee based. In the second segment, Helen sent an email asking about the recent Space New article on the space policy for the two main presidential candidates. She wanted my opinion on Trump deferring most of his policy comments to congress. Later, Michael Listner called to also comment on the Space New article, plus he mentioned that Republican Mike Pence was planning to do a space roundtable in Florida, Monday, Oct. 31. Read here for details: www.floridatoday.com/story/tech/science/space/2016/10/28/pence-targeting-ksc-tour-monday/92896292. Michael also mentioned the EU Space Strategy which is coming out and will be discussed in detail on a future Space Show program. Before Michael got off the line, I asked him about an article I read regarding commercial astronauts dying in space and their bodies making their way to other celestial bodies and possibly seeding life. Michael's response was based on Planetary Protection rules. Here is the article I read: www.dailymail.co.uk/sciencetech/article-3880174/Could-DEAD-astronaut-seed-life-universe-Researchers-say-dumping-bodies-space-trigger-new-forms-life.html. Another email came in from Carl in Tucson asking for me to say what I really think about Barry, the Back of the Envelope idea and the 4th industrial revolution regarding space. Don't miss what I said in response to the email from Carl. John from Ft. Worth was our next caller to talk about space policy and the presidential candidates. He also wanted more information on the Dr. Zubrin critique of the Musk Mars plan which I mentioned earlier. Here are some links to what Dr. Zubrin wrote plus a video interview with him on the subject: http://www.thenewatlantis.com/publications/colonizing-mars and https://www.youtube.com/watch?v=E2rEFrnrfXU. I also mentioned to John the recent Elon Musk Reddit Oct. 223, 2016 interview, "I am Elon Musk, ask me anything about becoming a spacefaring civilization." You can read the full Reddit interview with questions and comments at www.reddit.com/r/spacex/comments/590wi9/i_am_elon_musk_ask_me_anything_about_becoming_a. Doug was our final caller. He wanted to discuss some of the things John Hunt was talking about. Plus he gave his definition for space exploration, space development, and space settlement as that was relevant to John's discussion. Unfortunately, I had to cut Doug short due to my heading off to the bookstore to hear Leonard David and Dr. Pascal Lee give a talk on Leonard's new Mars book and the upcoming National Geographic cable channel Mars miniseries starting Nov. 14. You can get more information and see the trailer at http://channel.nationalgeographic.com/mars. Please post your comments/questions on The Space Show blog which is part of this archived program on TSS website. You can reach any of the callers or emailers through me at drspace AT thespaceshow DOT com. Open Lines: All Space & STEM calls welcome. First time callers welcome.